Today’s message: (1- Rider) Cut (10-Scythe) out arguments and strife (11-Whip) from your life today, it would simply be a losing (23- Mice) battle. I must admit, I’ve been quite curious about the Lenormand fervor that has been sweeping many folks off their feet but always hesitated because I figured that it may be more complex that I wanted to try to figure out. Until I saw The Gilded Reverie Lenormand by one of my favorite deck creator, Ciro Marchetti. 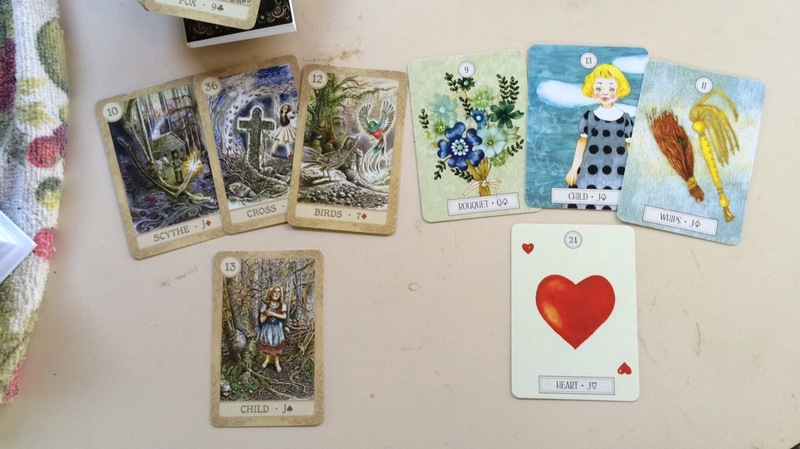 I was absolutely blown away by this Lenormand deck! 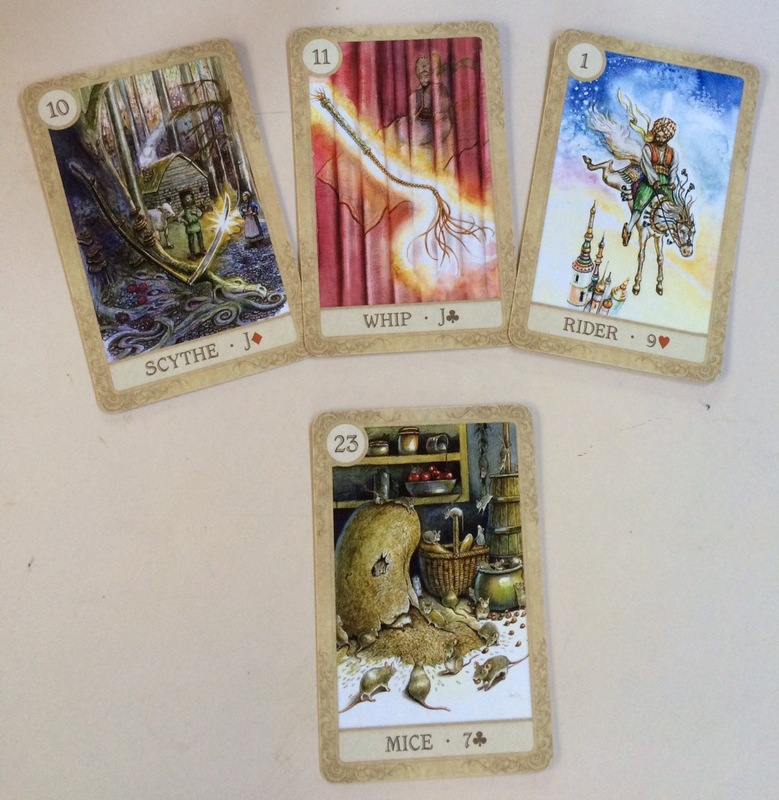 I’ve always loved Ciro’s Tarot art with his use of rich colors and interesting images parading through his decks so when I saw that U.S. Games had published a mass market version of his Lenormand deck, I emailed Lynn right away. The first thing I delighted in was the clever box that this Lenormand deck comes in. At first, it looked like it should slide out like a sleeve but to my amazement, it actually flips up and opens like a treasured book. The front of the flip lid is the beautiful picture of the Birds card, numbered 12 and is beautifully accented with gilded scrolling and highlighted imagery. This was my first hint of the absolute treasure inside! The cards themselves number from ( 1. ) Rider, to (36.) Cross, a standard number for a Petit Lenormand and have breathtakingly shiny gilded edging! The backs are a lovely dual red and burgundy checks with decorative golden colored scrolling and border effects. Unlike Tarot, Lenormand is not read with reversals so this would be an awesome Lenormand introduction for beginners to start out with. The card stock is the same high quality that sets U.S. Games decks apart from the all others. 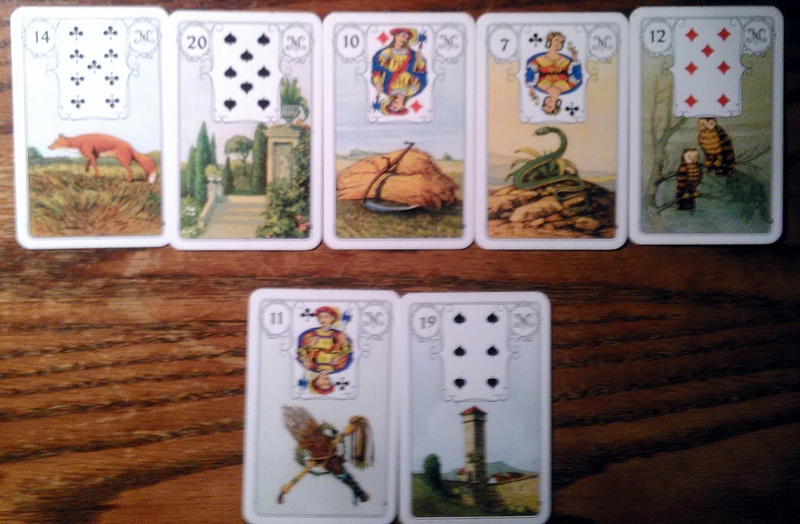 The deck itself is a tad larger than traditional Lenormand decks at 2.75” x 4.125” and shuffles amazingly. The one thing that I noticed is that when you have your question in mind and are shuffling and laying out two or three cards, the answers you get are quite clear and understandable…as well as outright blunt, but I admire in the deck. 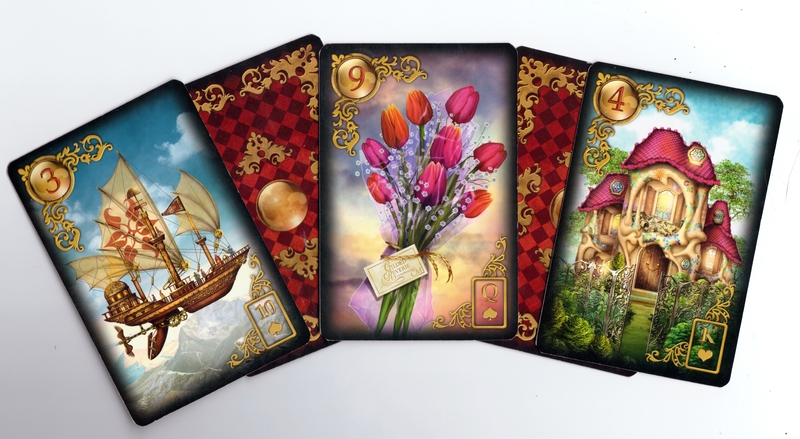 Answers that are somewhat hazy as with some Tarot decks , are perfectly clear with gorgeous Lenormand! For instance…(32. )Moon+(27) Letter can indicate that you will get a letter of recognition or an award from your boss or a love letter from your sweetie arrives. Unlike Tarot cards, these cards come with keywords, playing card inserts and can be learned in just a few short weeks. 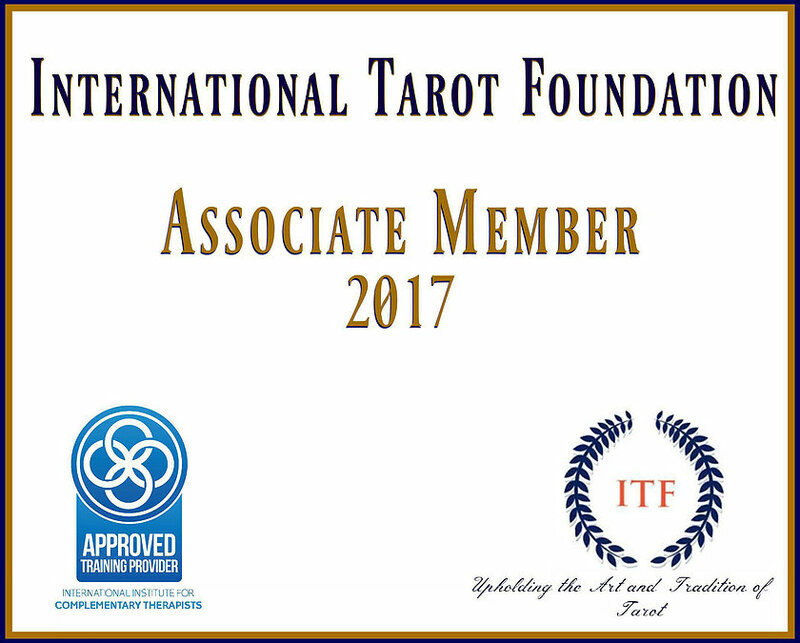 There are some wonderful Lenormand study groups and blogs out there to help if you want to know all the little tips and tricks. The Gilded Reverie can be read using the keywords for each card or along with the inserts as well to add a slightly different dimension to the answers that it provides. There is a LWB (little white book) that comes with this deck that gives intriguing insights into what the card means, layouts that you can try, and a brief history of The Lenormand as used as an oracle. The Gilded Reverie has absolutely won me over and in just a week and a half, I was reading the image keywords and building sentences with lines of 3, 5 and block of 9 cards (so proud of myself!) I must say, this is an amazing deck and the way that Lenormand shows exactly what you need to do…no holds barred …It may just overtake my Tarot heart. I wholeheartedly recommend that anyone from beginner or seasoned reader, Tarot or Lenormand cards give this deck a go, it will definitely surprise you with it’s answers.